About Donation Learn about organ, eye and tissue donation and transplantation. Outreach Programs Building community and educating residents of Oregon and SW Washington. About Us Meet the people behind our life-saving mission. “Thank you, Dad!” Marissa Salgado cannot say it enough. When chronic kidney failure changed her life, the 16-year-old endured years of daily dialysis. Volunteer Support our mission in a way that fits your schedule, resources and talents! Ways To Give Provide financial support for vital education and outreach programs. Register to be a donor Register your decision to be an organ, eye and tissue donor. You can be somebody’s hero. And you can be a hero to their whole family. 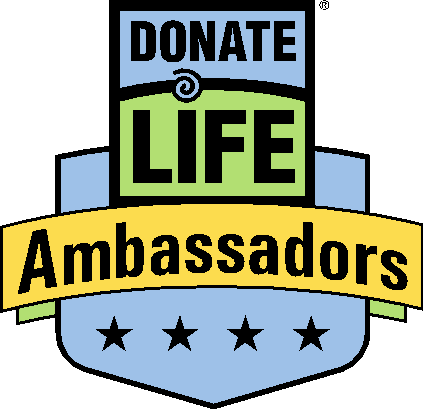 Become a Donate Life Ambassador! If you are interested in helping us educate and inspire diverse communities about organ, eye and tissue donation, please attend this orientation to learn more about our volunteer options. Prior to attending this orientation, please provide us with your contact information using this online interest form. Trainings will always incorporate a review of our Donate Life Ambassadors Manual, available to preview here. If you cannot attend tonight's orientation, contact volunteers@donatelifenw.org to arrange alternate training options. Please note that our training materials are currently available in English only. © 2019 Donate Life Northwest.